Once more a ZEN-MEN track was chosen for a Buddha Bar Compilation. This time it’s the track “I fly by” feat. Nienna Arien. The “Little Buddha” is a one CD compilation, more club stylish made by DJ Sam Popat. Ein weiteres mal wurde ein Titel von ZEN-MEN für eine Buddha Bar compilation ausgewählt. Dieses mal war es “I fly by” mit Nienna Arien. 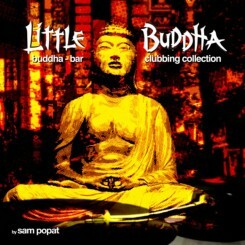 “Little Buddha” ist eine single-CD compilation im Club Style, zusammengestellt von DJ Sam Popat. This entry was posted in ZEN-MEN and tagged Buddha Bar, Deutsch, English, music, ZEN-MEN on June 2, 2008 by Chris.